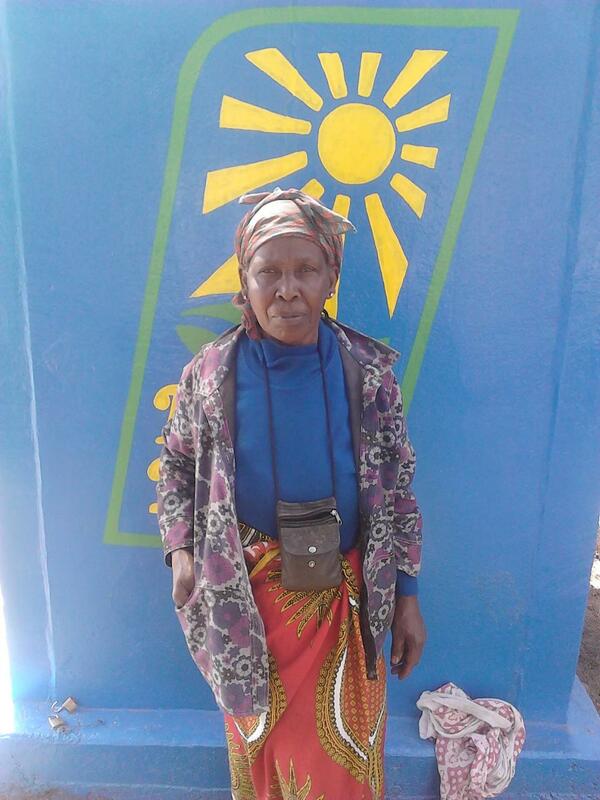 A loan of $600 helped to pay for two fresh life toilets. Agnes was born and raised in Kirinyaga county and later moved to Nairobi and settled in Majengo. She is a business lady in the area. She saw fresh life toilets in her locality and got interested to install two to charge her neighbours for use. She is optimistic the venture will supplement her income. Agnes seeks to install two fresh life toilets. It finances purchase of clean toilets, improving sanitation in the slums of Nairobi. Eight million people in Kenyan slums and 2.6 billion people worldwide lack access to hygienic sanitation. Sanergy aims to permanently reduce related disease in these areas by making sanitation accessible, affordable and sustainable. This social enterprise builds toilets under the “Fresh Life” brand, franchises them to local entrepreneurs, collects the waste and converts it into renewable energy and organic fertilizer. Because Sanergy’s core business is not microfinance and its partnership with Kiva is unprecedented, these loans present some level of additional risk for lenders. Sanergy is a social enterprise that combines technology, entrepreneurialism and a unique business model to provide safe, accessible and affordable sanitation products and services to slum residents across Kenya. Sanergy uses the flexible, zero-interest capital provided by Kiva lenders to offer loans to its network of toilet operators. The funding covers the upfront costs of the toilet purchase, enabling operators to pay back the loan over time with the revenue generated by the toilet. Kiva shares Sanergy’s mission to increase access to safe, affordable, hygienic sanitation options. The organization’s creative, tech-savvy approach addresses this issue in a socially and environmentally-responsible way that will not only improve health and well-being in urban slums, but also provide revenue-generating opportunities for low-income Kenyans. The zero-interest, risk-tolerant capital provided by Kiva lenders will enable Sanergy to invest more working capital in building out its technology, growing its toilet operator network, and reaching even more people with clean, affordable sanitation options.